The train is being transported to the port of Le Havre, France, and is expected to arrive at the port of Dakar on November 12. Bogies and cars will be reassembled at the rolling stock maintenance site at Colobane depot, located 3km from Dakar, before beginning static and dynamic tests. APIX managing director Mountaga Sy said: “We highly appreciate the on-time in-full delivery of Alstom. “We are therefore delighted with the respect of the delivery schedule, especially for the trains, complying with the planning as previously decided by His Excellency Mr. Macky Sall, President of the Republic of Senegal. 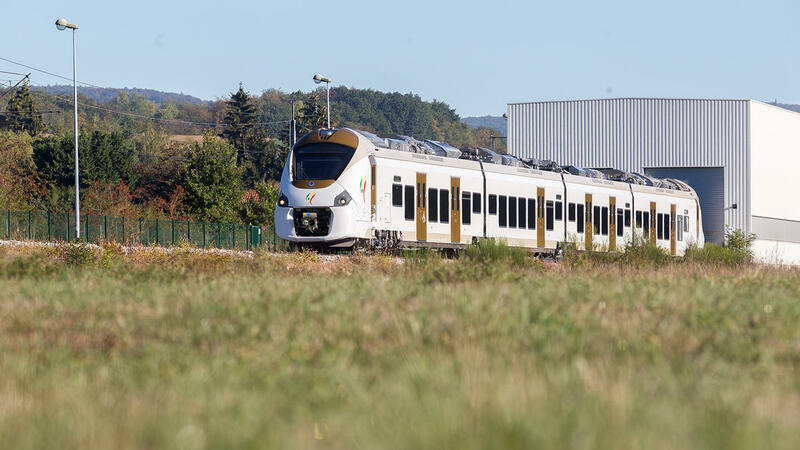 Alstom’s Coradia Polyvalent trains are part of the Regional Express Train Project (TER). The 15 trains will run on a new line connecting the centre of the city to the new Blaise Diagne International Airport. They will serve 14 stations over 55km. The number of daily passengers is expected to be up to 115,000. The Coradia Polyvalent for Senegal is a mainline dual-mode train (diesel and electric-25kV) capable of running at speeds of 160km/h with a maximum capacity of 531 passengers.